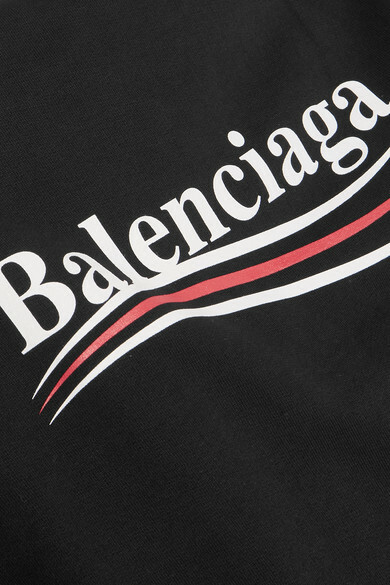 Balenciaga's underlined logo is inspired by American political campaign banners. 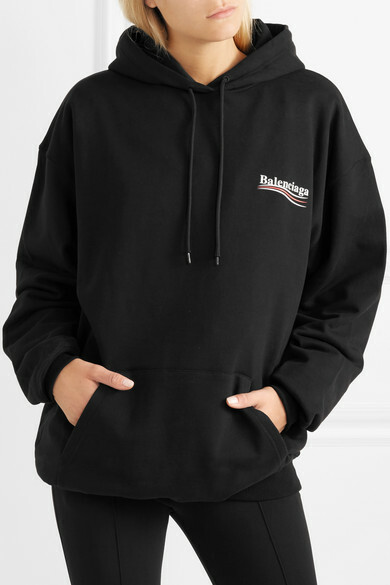 This hoodie cut for an oversized fit from plush black cotton-jersey. Balance the shape with a pair of skinny pants or leggings. 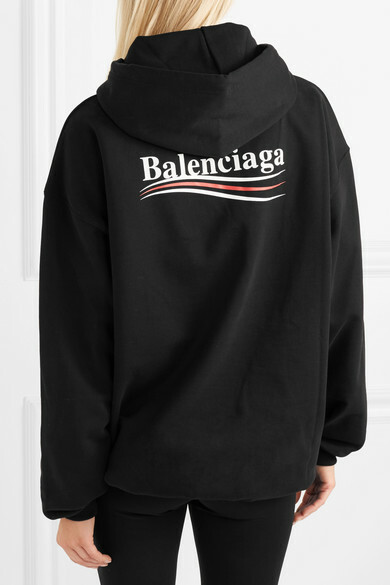 Shown here with: Balenciaga Shirt, Balenciaga Tote, Balenciaga Ankle boots.